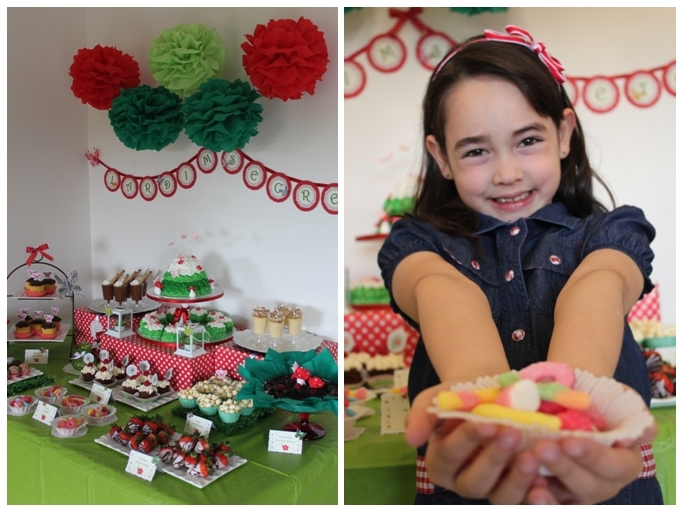 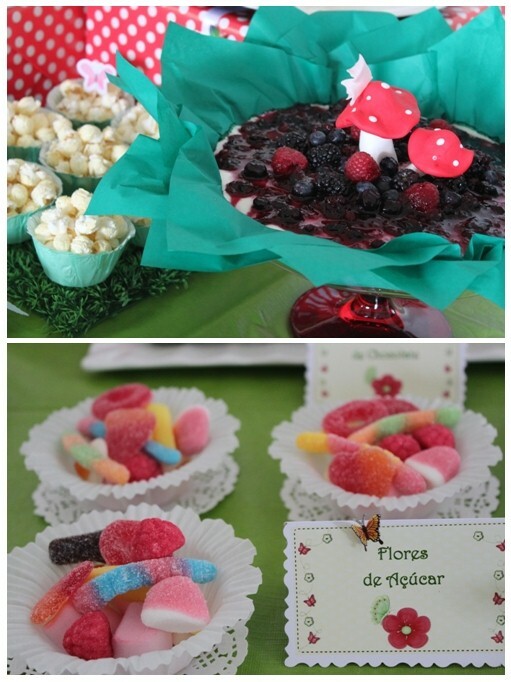 Delicias com amor e carinho styled this party for her daughter´s 7th birthday which she called “Madalena´s Secret Garden”…. 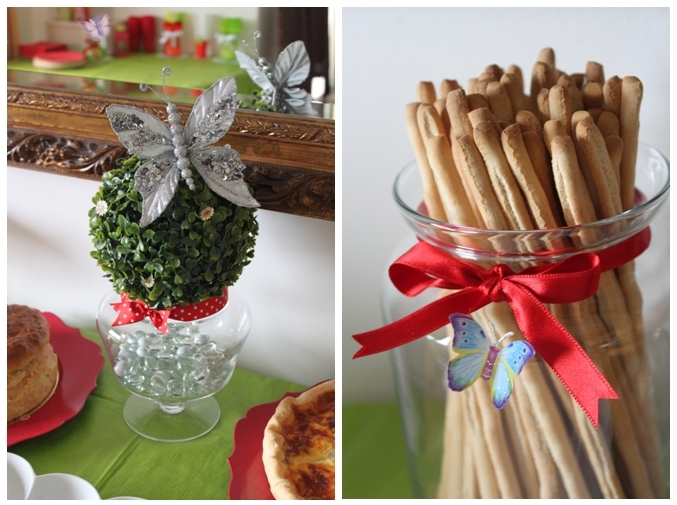 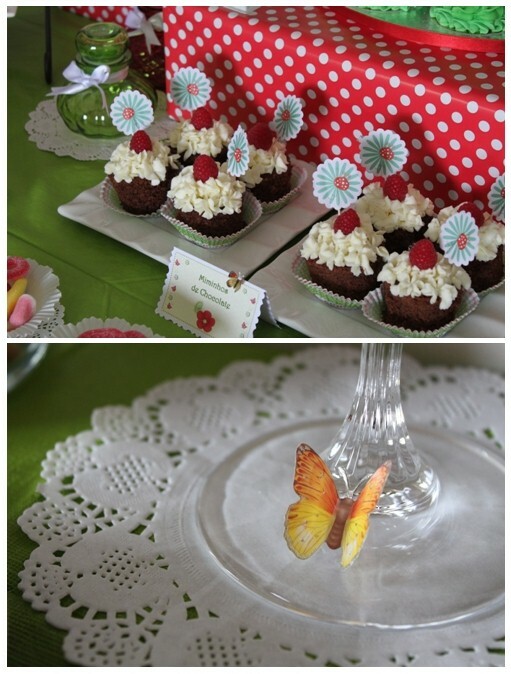 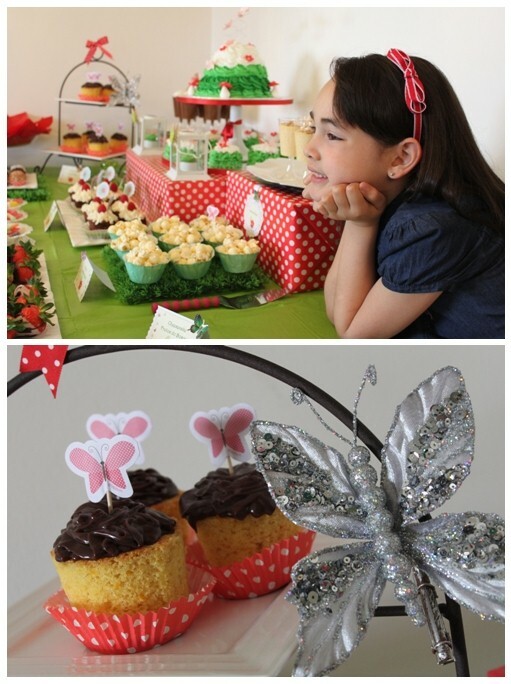 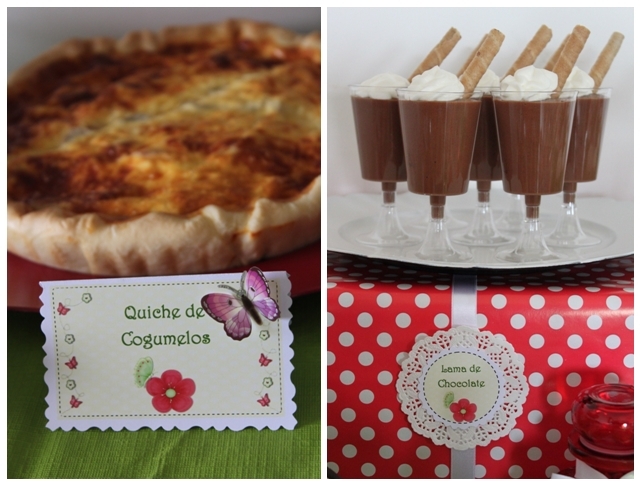 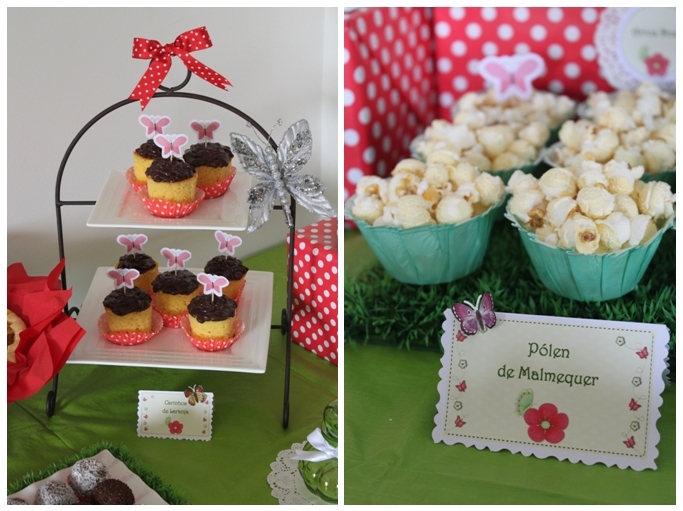 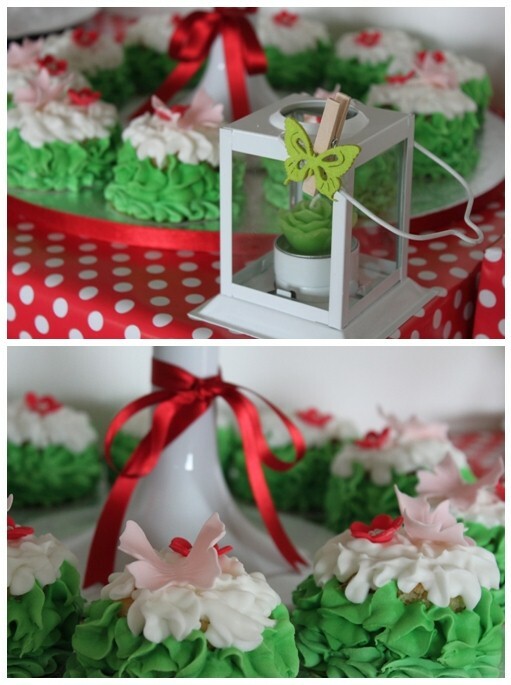 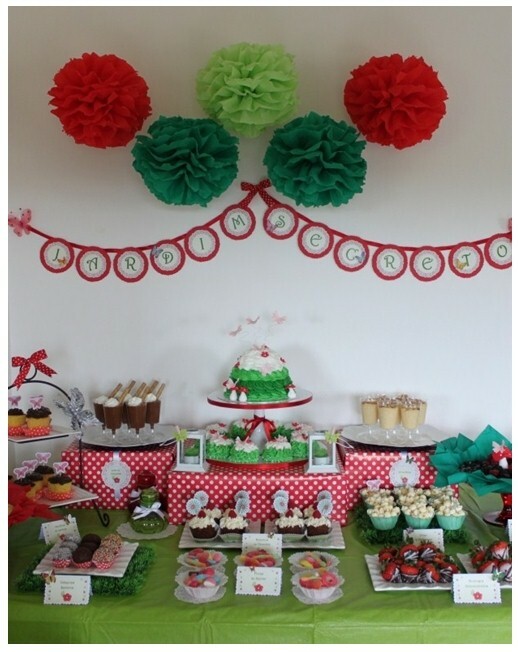 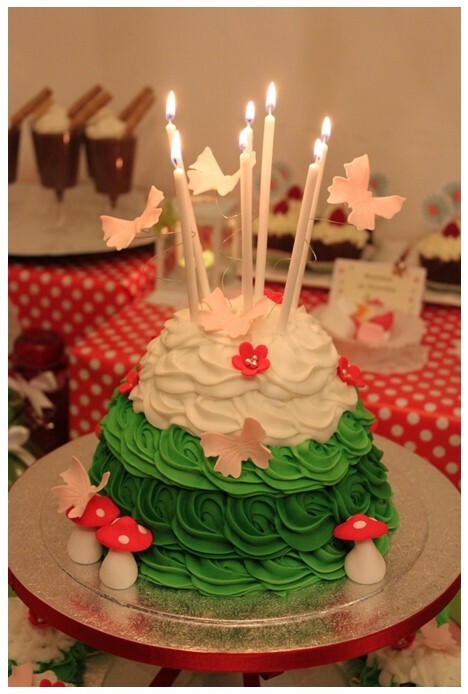 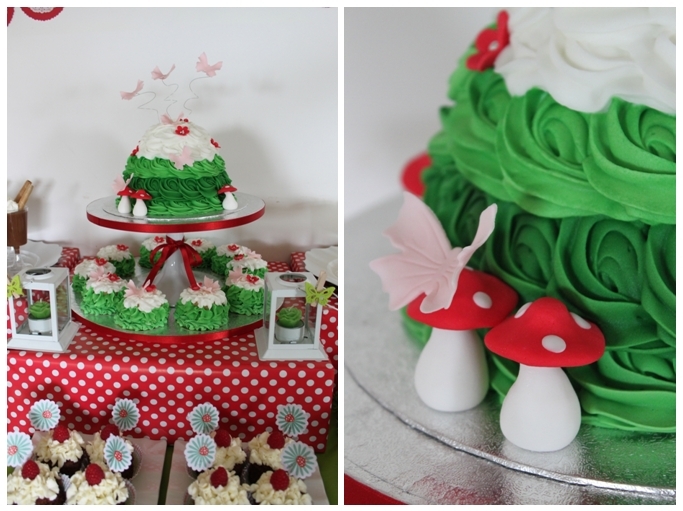 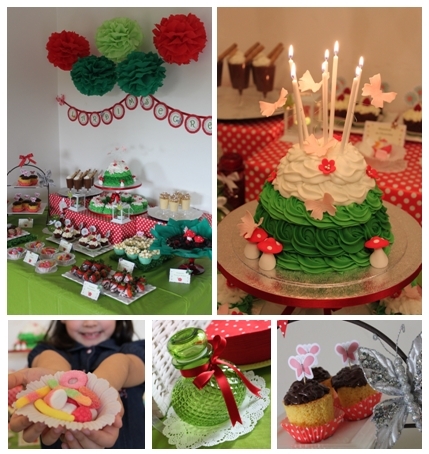 Delicias com amor e carinho styled this party for her daughter´s 7th birthday which she called “Madalena´s Secret Garden”. 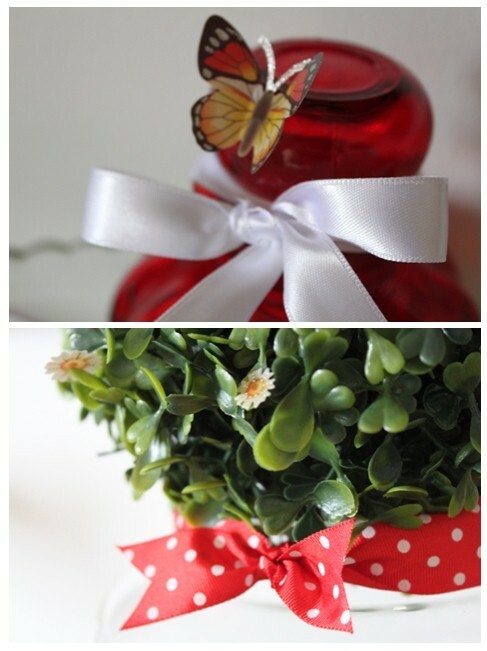 As told by Patricia “I found my inspiration in the beautiful gardens we have in our country. 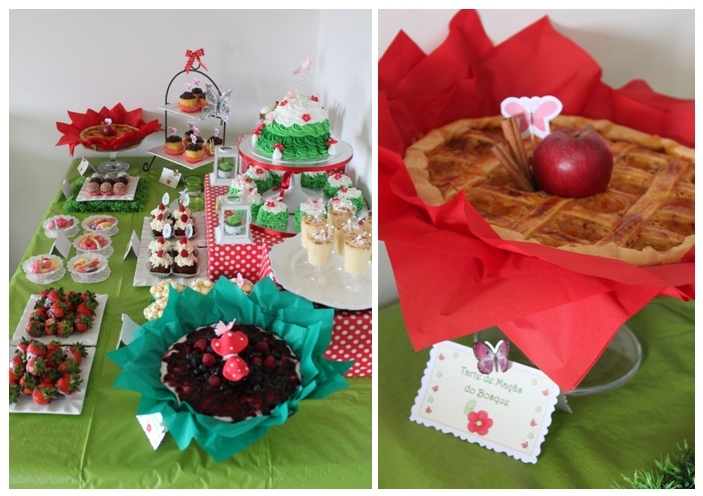 I incorporated the red and green color scheme in the main cake and other elements. 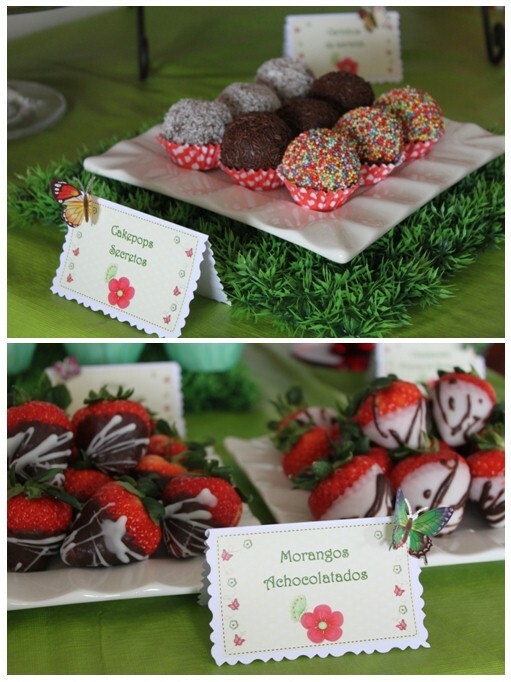 Other sweet treats on the main dessert table included small orange cakes with chocolate mousse topper, small chocolate cakes with mascarpone cream and raspberry on top, a traditional sweet in Portugal called arroz doce (sweet rice), cake pops, strawberries with black and white chocolate, and others. 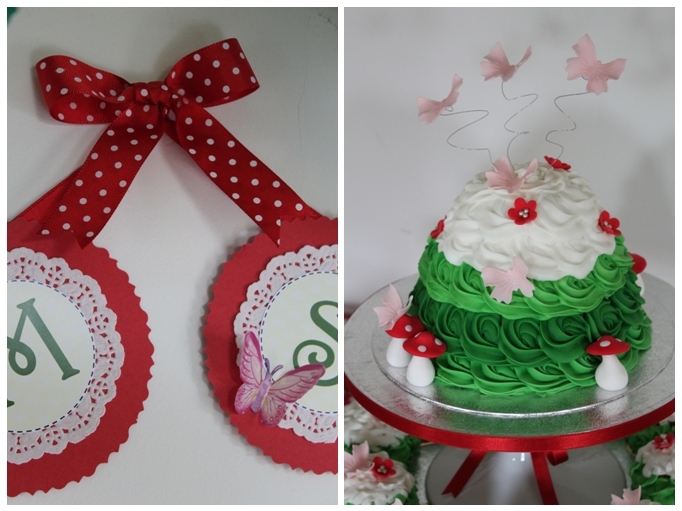 The birthday cake is an almonds and cinnamon cake decorate with green and white royal icing.I made the main cake for the adults and small cakes for the children. 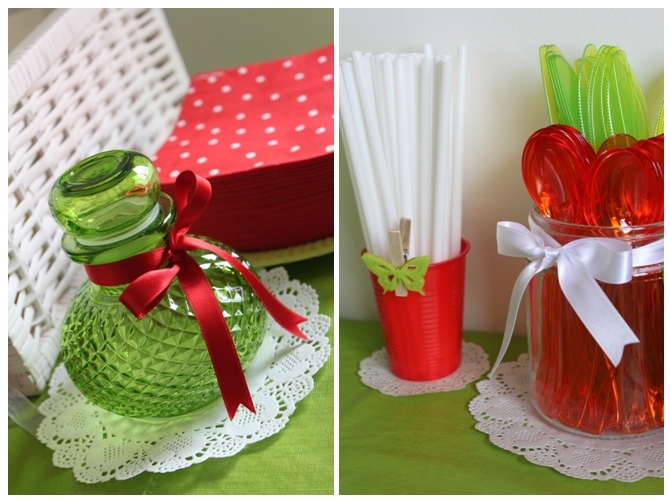 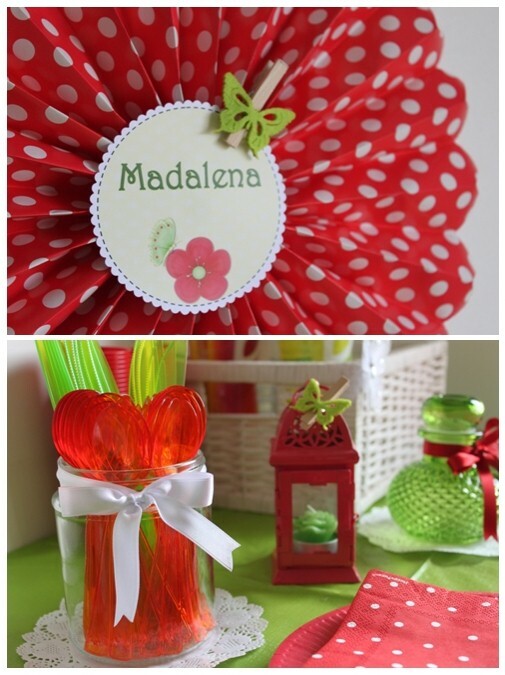 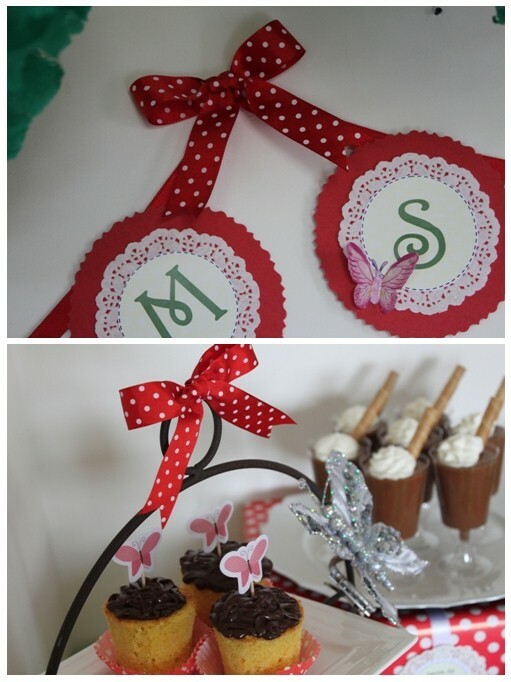 The decorations of the party included also included paper pompons, a garland, and dessert tags.